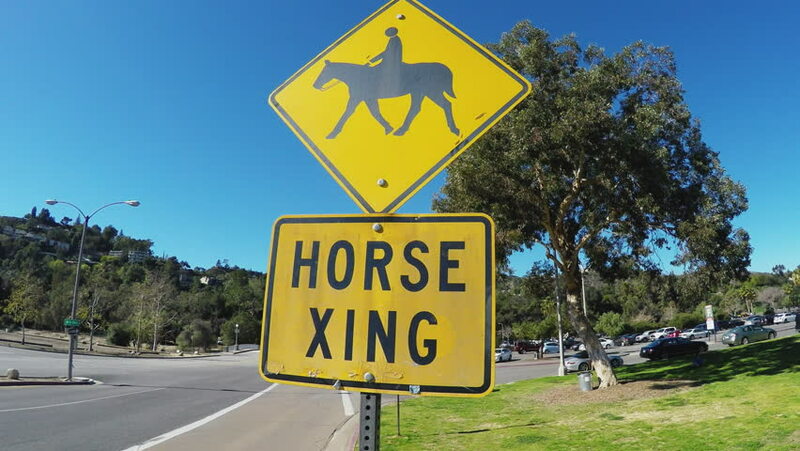 PASADENA, CA/USA: February 21, 2016- Close up of a horse crossing or xing sign in Pasadena California. The sign is located at a park next to the famous Rose Bowl. hd00:16Yellow slow children sign partially illuminated by the sun in speckled shade. hd00:13GREAT OCEAN ROAD, VICTORIA/AUSTRALIA - MARCH 08, 2018: Wildlife warning kangaroo sign for motorists on Great Ocean Road. Kangaroos are a hazard to motorists , particularly at dusk.